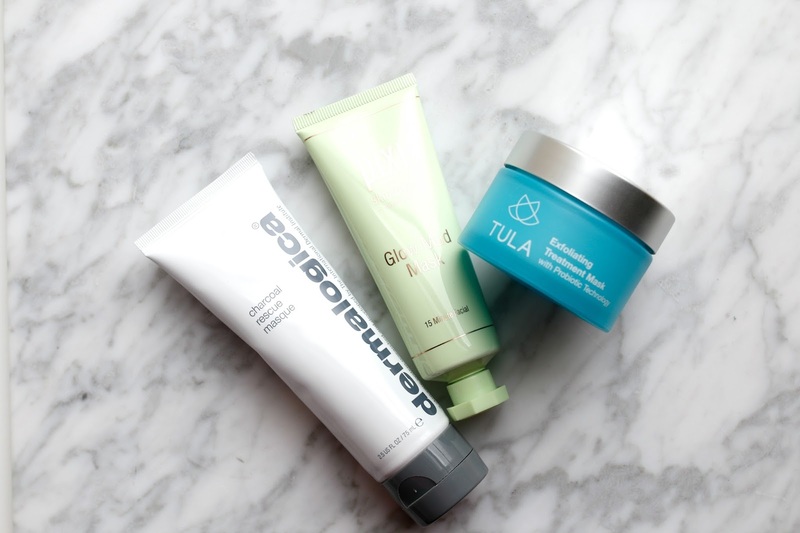 After cleansers, masks are my favorite skincare items to use. The results are often instant, I can use one after another, I can treat different parts of my face with different masks - the possibilities are endless. And it's a great way to try a brand without fully investing in a moisturizer or serum. I've recently tested out a few new masks that are designed to help detoxify, clarify and exfoliate the skin. I love using these types of masks at least once a week because they help to keep my skin looking fresh and glowing. 1. 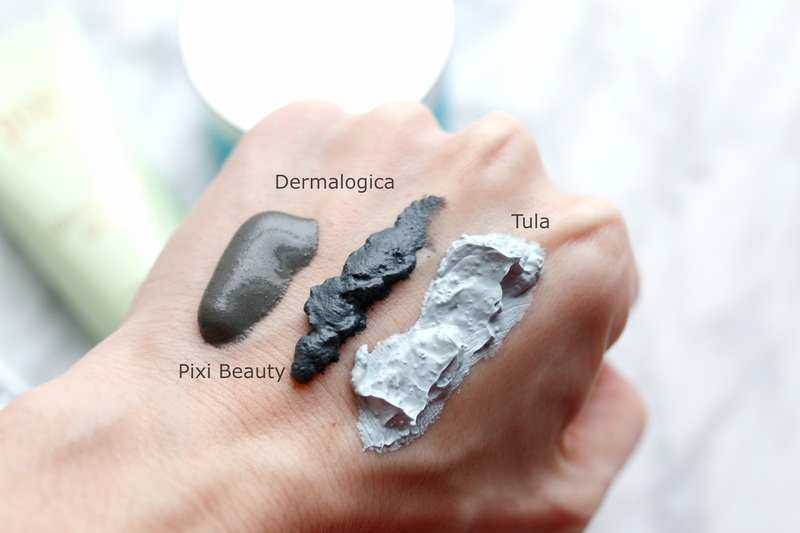 Dermalogica Charcoal Rescue Masque - Hormonal breakouts have met their match with this mask. The activated charcoal helps to draw out impurities and my skin is less oily the next few days after using. But the added bonus of alpha hydroxy acids to this mask means that the skin gets a nice chemical exfoliation, while removing the mask gives a manual exfoliation. The result is super smooth and radiant skin. However, if you have sensitive skin, I would recommend a patch test first to ensure it doesn't cause irritation. 2. Pixi Glow Mud Mask - Compared to the Dermalogica mask, this Pixi mask is smoother in texture with little to no graininess. It still did an amazing job of detoxifying the skin and helping to decongest especially when I was having breakouts, and my skin looked radiant and felt soft and soothed after using. If I had to rank them, this Pixi mud mask is the most gentle out of all three masks which is nice when my skin may be feeling a tad more sensitive but still needs a good clarifying treatment. 3. 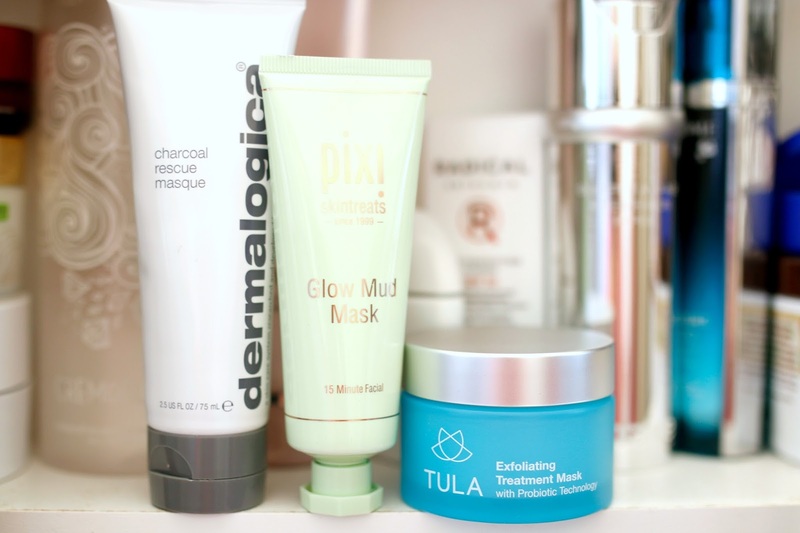 Tula Exfoliating Treatment Mask - Tula is a new brand to me and as I said before, the first product I like to try from a line is typically their masks (or cleansers - I'm a sucker for either). While this mask still gave me a strong exfoliation, I loved the addition of omega-3 and omega-6 fatty acids along with Vitamin E to help nourish and condition the skin. Too often exfoliating masks can focus only on removing dead skin, but I loved how my face felt replenished and hydrated after using this. The lactic acid gives a chemical exfoliation while the small granules give a gentle manual exfoliation. It's been a great addition to my winter skincare routine because it manages to balance smoothing my skin with keeping it calm and hydrated. It's a masking win/win! AND - as a bonus for all those that are interested in trying this or any other products from the Tula line out, they have generously given me a discount code for 25% off the entire line + free shipping! Use code: Maree25 to receive the special. You can shop the entire line here. Enjoy!